KINGMAX, a world renowned leading brand of DRAM and flash memory, has launched the latest 2.5″ SATA III SSD. It has the standard SATA III 6Gb/s interface and expanded storage capacity of 512GB. It also supports Native Command Queuing (NCQ) which increases the performance and efficiency of SSD by internally optimizes the execution order of commands; thus taking users on a high speed ride. KINGMAX has also introduced a series of SSD with different types, including 1.8″ SATA II, 2.5″ SATA II, and mSATA, to meet variety of demands from end-users. KINGMAX SATA III SSD has a maximum read speed that reaches up to 415MB/s and write speed at 260MB/s that significantly shortens the boot up time and also reduces file transfer time for users. In comparison to the traditional hard drive, SSD replaced the motor and rotating disks with NAND flash to store data; this shift to using electronic transfer comes with many benefits such as higher stability, energy saving, noise-free and etc. Moreover, it considerably lowers the malfunction risk and enables users to enjoy a quiet working environment. In order to meet the demands of next generation OS, KINGMAX SSD also supports the Windows 7 TRIM command which optimizes write performance by clearing the garbage collection in the block and save the empty block for new write command. Other built in features such as Error Correction Code (ECC) and Global Wear Leveling function allow an even distribution of write commands to every block to ensure better performance, higher stability, and longer product life. Aside from the outstanding transferring performance, KINGMAX SSD also has shock-resistant up to 1500G, which is 5 times normal hard drive could afford. Moreover, its impact-resistant metal shell case effectively fortifies shock tolerance of the SSD, guaranteeing the best data protection for users. 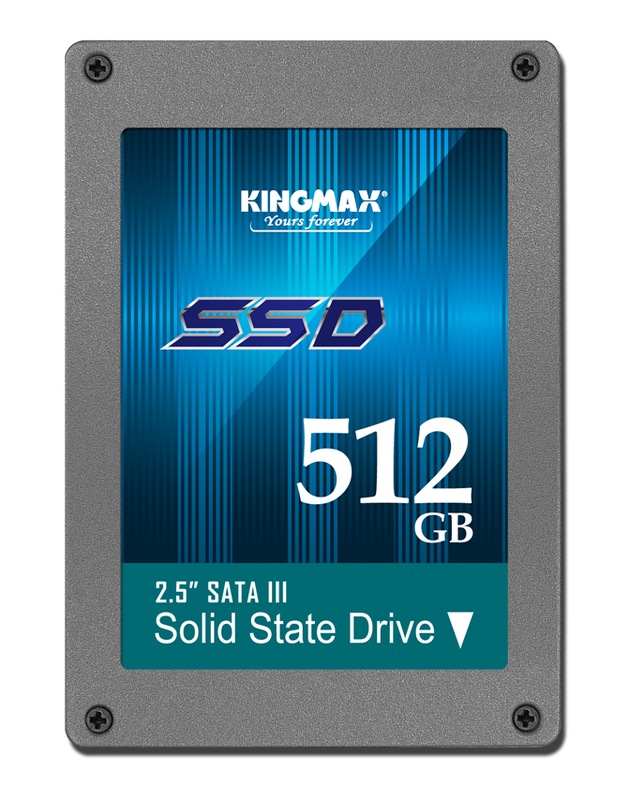 KINGMAX SSD can be installed either in PC as a system drive or in laptop. All KINGMAX SSD Series products adhere to the RoHS compliance, CE standard and are FCC certified. KINGMAX is proud to say all of its products are subjected to the most stringent quality control; all products go through rigorous testing to ensure the highest quality. KINGMAX’s products come with lifetime warranty to provide 100% satisfaction guarantee to customers.